Tenkar's Tavern: Poppa Frog is on Vacation - The Lesser Frog is Running Dirt Cheap PDF Sales - Swords & Wizardry, Pathfinder and 5e! Poppa Frog is on Vacation - The Lesser Frog is Running Dirt Cheap PDF Sales - Swords & Wizardry, Pathfinder and 5e! What's that you say? 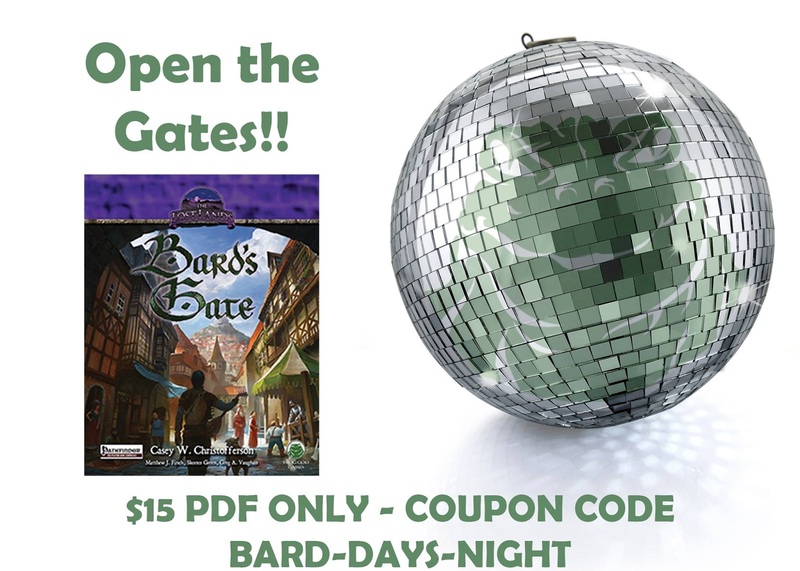 Bard's Gate is only 15 bucks in PDF - your choice of Swords & Wizardry or 5e? Exactly where is +Bill Webb and who left you in charge? Its no secret that I swim in the Frog God's pond these days but when there are good deals I do share them. There are no affiliate links for the Frogs (I need to talk with Bill about that ;) so the only thing in this for me is sharing an excellent product for S&W (and Pathfinder and 5e) at an amazing price. What in the Special Swords & Wizardry Legion PDF Bundle? Its a bundle that grows the more folks that buy it. It starts with Lost City of Barakus, Grimmsgate and Splinters of Faith I: It Starts with a Chicken. 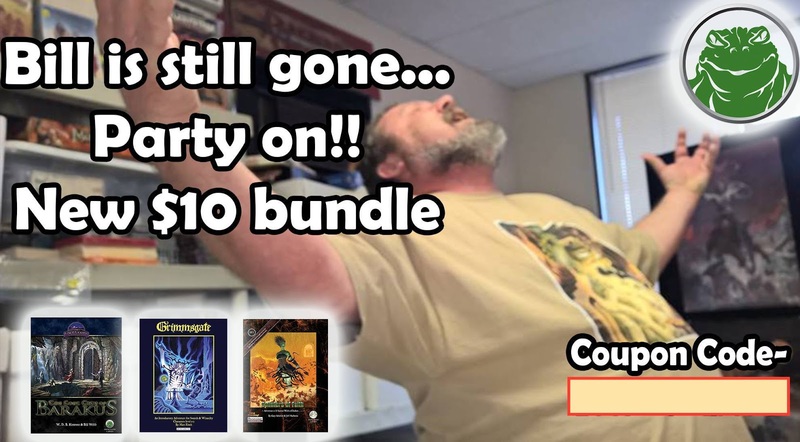 Then, the more folks that buy the bundle the more that's in the bundle. And yes, its retroactive - from the first buyer to the last. For every 10 bundles we sell we add another Splinters of Faith Module. When we burn through those we add even more. Updates will be given on the Swords & Wizardry Legion Facebook Group. BTW, the coupons DO stack now. Just put the S&W bundle and Bard's Gate in your cart and add the two coupons.